Melons. Les melons. Aren’t they glorious too? I don’t know about you but I simply cannot buy a melon when it’s out of the season. I remember when I was a child and my parents, my brother and I drove for our summer vacation across France, to another corner of the country. Sometimes it was to the west coast we’d travel–just as we will in a few weeks–and sometimes it was south that my parents had decided we’d spend les grandes vacances (summer vacation). To my brother and me, it didn’t matter where we were traveling, as long as that involved the seaside. On allait à la mer ! One year, we vacationed in the presqu’île de Giens. My parents had rented a cute cottage by the sea, which was very convenient since my mother was able to cook and we had easy access to the beach. Every morning, we liked to walk to the local market to buy local fresh produce. And on the last day, my mother purchased a large cagette de melons (a box filled with melons), and one of apricots–something she invariably did each year, no matter where we vacationed. In fact, there was never a vacation that didn’t involve bringing local food home. I keep a vivid memory of our family vacation by the seaside. And of the drive back each year as the car smelled sweet and delicious from the fruit we had put in the trunk. The melons were always remarkable. Nevertheless. The other day, it was this salad that glorified a summer cantaloupe. I had made a point to leave the fruit out on the counter top for a few days until it was ripe and à point. I made the salad with mixed greens and leftovers of a roasted chicken. The marriage between the tenderness of the meat, slices of melon, raspberries and mixed greens tossed in a pistachio & lime vinaigrette was incredible. In fact, the salad was so tasty that I ate it within minutes–not always a good thing, is it? Lunch left Lulu and I feeling light when we finally set off for the park. I was happy with the salad. Lulu was with the sandbox at the playground. And cookies. On the way back home, I decided to make a quick stop at the store for milk. What I didn’t expect to find there was what follows. Boxes of delicious looking white currants and gooseberries, local it read on the box, were neatly arranged in the fruit section. It so rarely happens that it frankly took me by surprise. “What am I going to do with those?” I kept thinking as I handed a $10 bill to the cash registrar. Blank. Hence the berries sat in the fridge for one day. Until the word tart, in all of its glory, popped into my head. It was a spontaneous simple tart, in fact, that I ended up choosing. I didn’t have much to prepare since I already had handy leftovers of a rustic crust . Which left me with the preparation of the fruit only. Minutes after I started to work, Lulu caught sight of the box of berries. 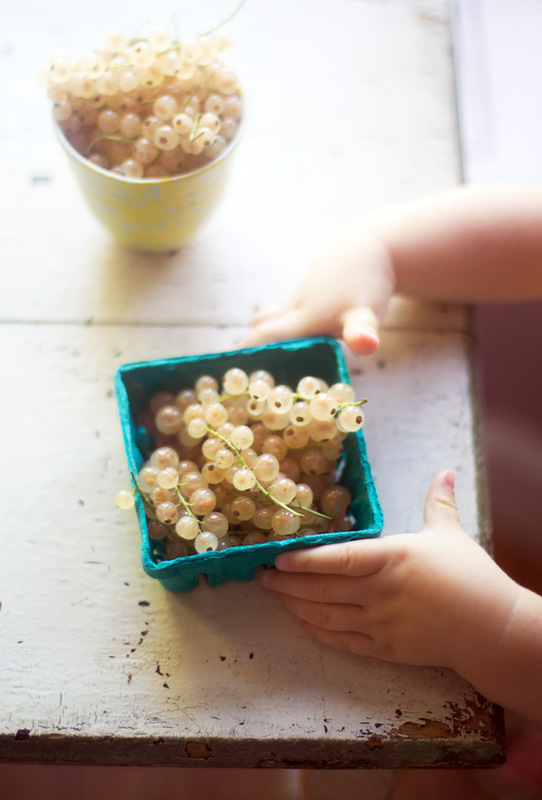 “They are mine and I am going to give them to maman“, the look on her face seemed to be saying as she proudly carried to my small working table the box she was holding tight between her hands. I cannot help but smile whenever I picture the scene again. You can really use any fruit and spices you like. At each time I bake a tart like this one, it always evolves into something new. 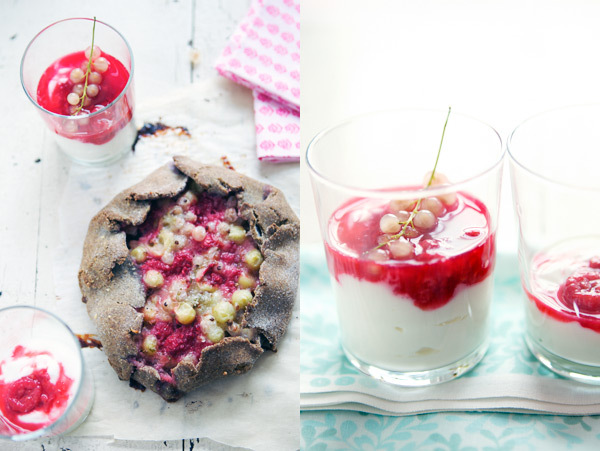 In this recipe, I combined about 4.5 oz (125 g) berries (gooseberries, white currants and raspberries) with ginger, vanilla seeds, almond meal and sugar. I rolled the crust thin and added the fruit on top. Then I baked the tart in a hot oven (420 F) for about 20 minutes, which gave a nice crunch to the crust and made the fruit bubble joyfully as it releases its juice. So the result was a delicious dessert with character. One that invariably makes me think about the beach. Our time away with the family. And of a day in August building a memory around food. I am not ready to forget my princess’s tiny hands holding the fruit either. In a small bowl, combine the garlic, mustard and salt and pepper. Stir in the honey and lime juice. Add the oils and whisk to emulsify; set aside. 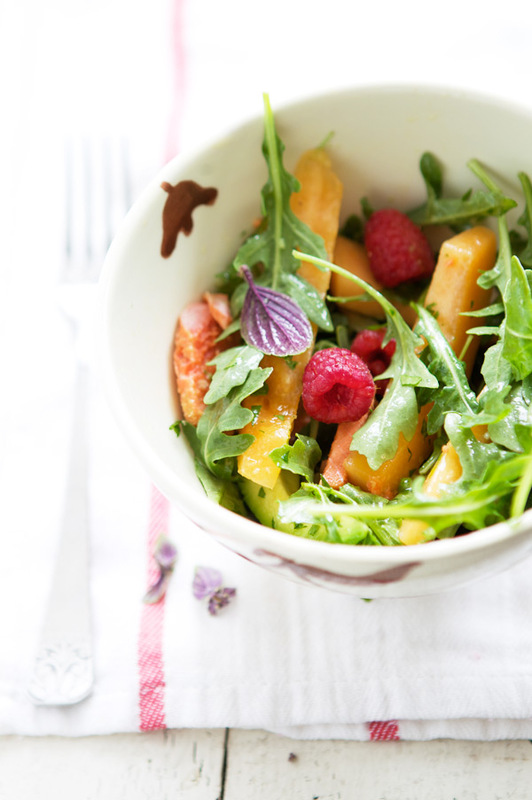 In a large bowl, combine the greens, avocado and melon slices, chicken and raspberries. Add the vinaigrette and toss gently. Serve right away with chopped basil and crusty bread. Dans un petit bol, mélangez l’aïl avec la moutarde, du sel et du poivre. Ajoutez le jus de citron vert et le miel, puis faites émulsionner avec les huies; mettez de côté. Dans un grand saladier, mélangez la salade verte, les tranches d’avocat de melon, les framboises et le poulet. Ajoutez la vinaigrette avec des feuilles de basilic ciselées, et mélangez délicatement. Servez de suite avec un bon pain de campagne. My head is spinning! I just cut up a ripe melon about 20 minutes ago and also currrently have white currants in my fridge. Nevermind this heat; I just may roast a chicken and bake a tart tomorrow. Thanks for the great recipe ideas and lovely story. La photo avec les mains de Lulu et le flou autour est tellement poétique ! Wow ! Gosh your photos are just incredible. La photo des petites mains de Lulu est absolumment superbe, d’une telle delicatesse! C’est rigolo, j’ai les memes souvenirs que toi des trop bons melons francais… ca me manque tellement! A tres bientot j’espere et bravo encore pour ces belles photos! Love the teeny-weeny hand holding the box of currants. Great recipe. I love sweet salads. Your photos are sweet as well. I’ve always been turned off of melon in salad – don’t know why. But I will have to try this one. Si j’ai bien compris, vous allez à Belle-Ile d’ici quelques temps ? Si tu souhaites quelques adresses, n’hésite pas car j’y ai passé toutes mes vacances d’enfance puis d’adolescence. J’y ai encore passé quelques jours cet été. Tu verras, c’est un endroit magnifique ! C’est vrai, les melons français ont un je ne sais quoi qui donne ce goût incomparable. I am glad I am not the only one to feel it and keep the memory. Ninette, oh merci. Bien sûr, je suis ouverte à tous les conseils. On y reste deux semaines. J’ai hâte ! I love salads with fruit – apples, pears… But have never tried salads with melon, Bea – what a great idea! The free form tarts are beautiful, too. La petite tarte à l’air bien sympa! Elle me rappelle les tartes (salées) qu’on mange souvent en Finlande. Lovely story. I am right now enjoying some beautiful cantelope at the beach in Cape Cod. August always seems so wonderful, but a little sad and longing as I am excited for fall but also don’t want summer to end. Thank you, thank you! 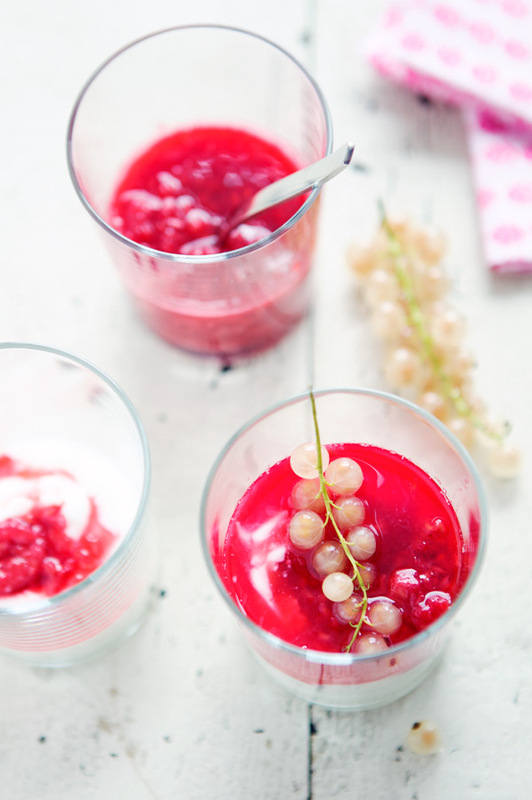 I love currants and gooseberries, and while I find both hard to find, I love the idea of doing something with them other than gobbling them up greedily until they’re all gone. gorgeous post! we have been drinking currant juice lately delicious. the photograph of lulus hands reaching for the berries is so beautiful! 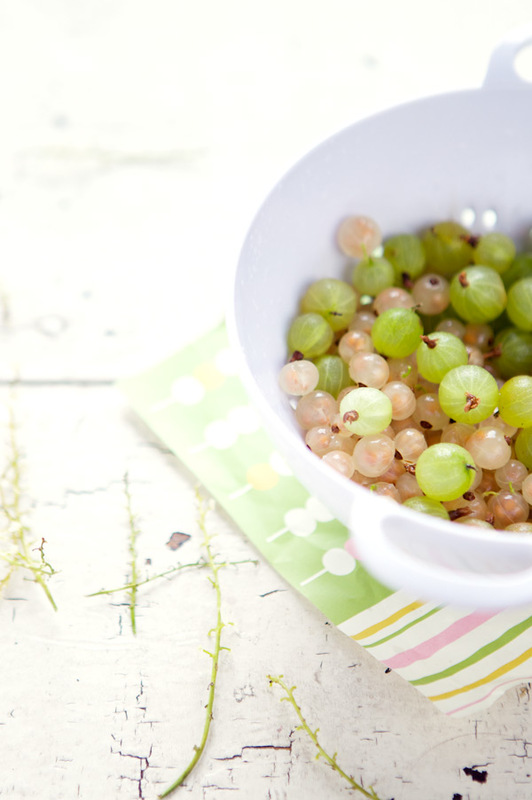 Your shot of the bowl of white currents and gooseberries on the scrap of paterned fabric is perfect! Isn’t it wonderful when a prop or treasure you’ve been hoarding for ages just comes into its own for a perfect picture? Does anyone know why we have only cantaloupes in North America and not the european “melons”, which are sooooo much better? Wonderful moments! Thanks for sharing. Looking for an oppourtunity to explore your creativity then, Foliofox -a portfolio website gives you a platform to live to your imagition.It provides you to upload 500 images into your gallery.It provides you email your creativity to directors directly from your album box.FolioFox encourages artists to explore there talent to the audience in an impressive way. Beautiful colors. The fruits look so delicious and fresh. Je sais pas si c’est moi mais on dirait que Lulu a sérieusement grandi!!! et oui les melons ici sont absolument délicieux!! I agree with Elise; the photo of Lulu’s wee chubby hands is superb and gives me great delight as (in person) they must bring *you* great joy! I am in love with the photo of Lulu’s hands and the white currants! I want it framed on my wall 🙂 Wonderful, wonderful food! Wow, it all looks so beautiful and delicious! It´s funny, I live far north in Norway and have got exactly the same berries on my kitchentable today;-) Can´t wait to try the salad! All the fruits are beautiful, the melon salad is breathtaking. I can’t wait to hit the farmer’s market tomorrow to pick up some supplies. I love reading that you cannot eat a melon out of season! I feel the same about tomatoes. I wait all year for this summer treat. Your photos are lovely–thanks! I must have prepared like 10 of your recipes but never told you how much I loved each one of them, how well explained they are and how easy to follow. This salad is yet another divinely pleasing success. 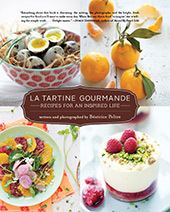 While waiting for your book, I will bookmark some more recipes. Thanks a lot! 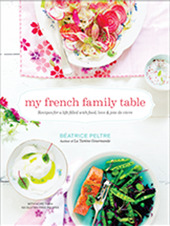 It’s just lovely to read that you’ve successfully tried some of my recipes. Makes my day to hear! Merci ! I’ve copied your salad 3 times now. I can only say: YUMYUM!! Thank so much for the idea! Makes me very happy to hear Jasmin. Thank you! 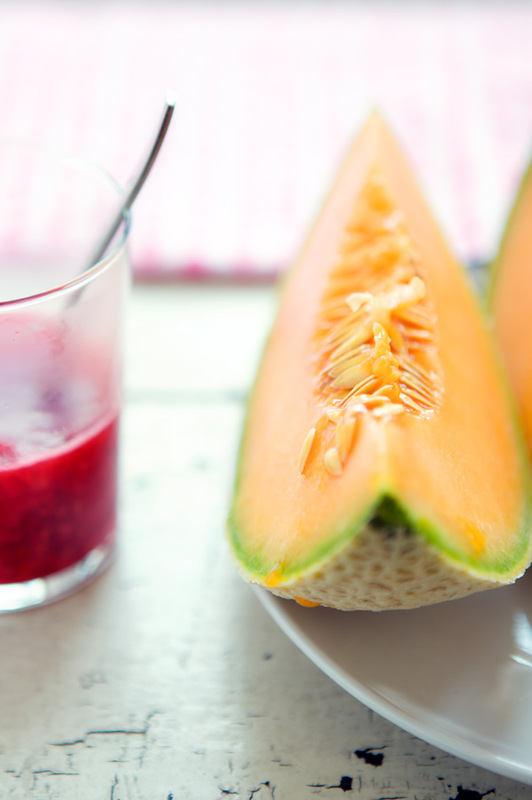 Staring at the fresh melon on the counter…and now thinking dinner. Yes, it would taste better by the sea, but one makes do. I love looking at Lulu’s sweet hands. Beautiful pictures I love the white berries and the home made pastry, you can see the sheer love of cooking in the rugged edges of the pastry. exquisite! i used mangos instead of cantaloupes.. and it was a very satisfying sunday night supper, even for a hungry college girl! 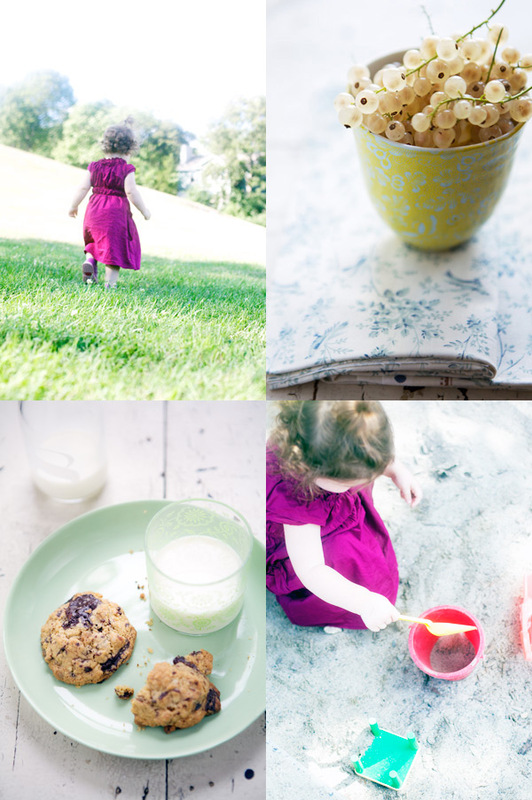 i love your blog and photos- inspiring me to create and document. So beautiful! i’m reading your blog from the very start! i’ve done a search for “rustic crust” – i looks delish. Do you have a recipe for it? Pingback: Summer postcards 2 « elsewhere. journal.